KEY WEST, Florida - On June 26, 2018, Victoria Burgess of Southern Florida will attempt to set a world record by stand up paddling across the Straits of Florida from Cuba to Key West. Dubbed the Chica Libre SUP Crossing, Burgess plans to paddle the 100+ miles within 30 hours to officially claim the Guinness world record title for first female to stand up paddle across the Florida Straits. The expedition will be fully supported. Alongside Burgess will be a support boat headed by Captain Bob Olin with a paramedic, videographer, shark protector, and her boyfriend all on board. Burgess first discovered stand up paddling back in 2013 when she was introduced to the sport by her boyfriend Rorary Kam, who is deep in the Florida SUP and surfing culture. Before learning about SUP, she had been surfing for around 10 years. “I have always been involved in competitive sports and due to the lack of waves more recently here in South Florida, I decided to try [SUP] racing to see what it was all about and get in better shape. After my first race, I was hooked not only to the sport but the people that come along with it, and have been competing ever since,” says Burgess. She competes in both SUP and SUP surfing events throughout the year, as well as traditional surf contests. Being an avid surfer throughout her life, she is drawn to open ocean races and more recently she has found an interest in distance and navigational open ocean races. “I enjoy the mystery of the ocean and the challenges it brings with the ever-changing conditions,” explains Burgess. In the past two years she has raced in the M2O and M2M as well as several local events. Outside of competing, Burgess is heavily involved in the surf and SUP community in South Florida. She is Director of the semiannual Sunshine SUP Series, one of the biggest races in Florida, as well as coach of the Broward County Special Olympic Stand Up Paddleboard team. She also leads a weekly SUP fitness group and teaches private lessons and clinics in SUP, SUP surfing, and regular surfing. After competing in the 2016 M2O race, Burgess began thinking about doing a longer endurance expedition. Her eyes were set on the Straits of Florida. “[I] didn't get serious about it until January 2017 which is when I started checking into the logistics and also applied then for the Guinness World Record attempt. After several months of research, I realized the amount it would cost to attempt it was much higher than I could probably afford, I was so bummed and dropped the idea,” says Burgess. However, fate was on her side. She had just about forgot about the whole crossing when she received a letter from the Guinness World Records in November 2017, confirming that her attempt request was approved. That’s when she decided she would go for it in 2018. “These days when opportunities come around I make sure to take them, and not only did this come around once, but back again, so I figured there must be a reason! I don't want to be 80 years old wishing I had given it a shot so I decided to let faith overcome fear and go for it, and I couldn't be more excited,” says Burgess. Once the Florida racer was given the green light on her attempt, she started searching for a foundation that would receive any proceeds raised from her fundraising efforts for the crossing. She was passionate about finding a foundation that integrated both women and sports. “After a lot of searching I found the Women’s Sports Foundation, which I actually didn’t know about prior, and it seemed to fit everything I was looking for in a foundation to support. The foundation has helped girls and women in so many ways by providing them access to sports and has been around for 40 years doing so!” explains Burgess. As an all around sports enthusiast, she aims to raise awareness about the issues of gender equality in sports and help to push the conversation forward through her expedition and donations to the Women’s Sports Foundation. Most importantly, she hopes to inspire more women to achieve their goals. “I work with a lot of women with their training and often I find that some don’t even realize what they are capable of, which winds up holding them back. I want this paddle to signify that you can do it…anything you want. Set your mind free and just watch where it takes you! Yes - it’s not easy, it will take lots of hard work, but it’s so worth it,” she says. To capture her message, Burgess gave the crossing a special name. “Chica Libre, or Free Girl, is the name I chose for this paddle because I want to show the women and girls out there that may have doubt, that we are free in our minds to put ourselves in a place of absolute bad-assery as long as we believe in ourselves,” she says. 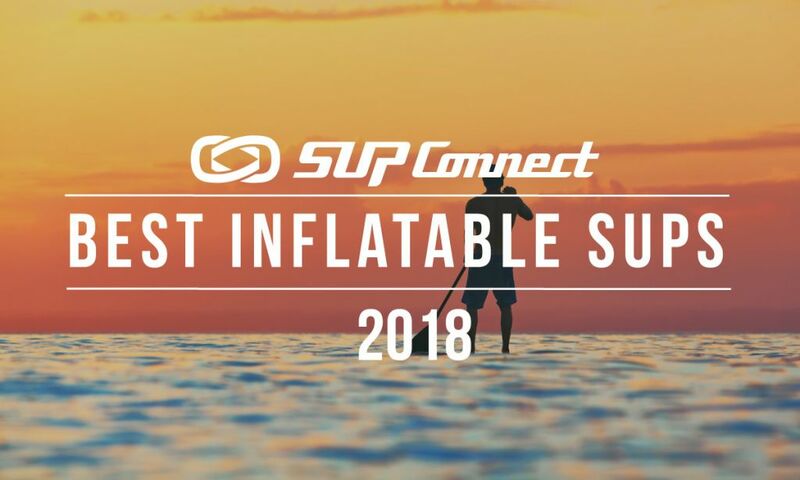 Gender inequality has been an ongoing issue in SUP but has recently gained a lot of attention from the #IPADDLEFOREQUALITY social media campaign following the lack of female invitees to the 2107 Red Bull Heavy Water. Burgess chimed in about the issue. “I am glad to see progression in the SUP world on the pro side with the board length. Our athleticism deserves the equal attention as any male athlete. Hence why I wanted to use this crossing to raise awareness to women in sport and equality. It can be very discouraging as a woman to continue forward with her sport and talent when there is no further opportunity to actually have a career with it,” says Burgess. One of the points often brought up in the conversation about gender inequality in SUP is the disproportional prize purses. “Often I hear people saying, ‘well look, there are only 10 girls racing and 50 guys, that’s why there isn’t as big of a payout,’ etc. and honestly I hate that. The girls are out there putting in 110% whether it be against 1 or 100 people, but unfortunately until we have the numbers, it will continue to be this way. That’s why we, as leaders, need to continue to promote the sport and push the women involved to challenge themselves throughout this lifestyle and most of all lead by example,” says Burgess. As much as the crossing is a fight for gender equality, it is also a journey of physical fortitude. The immense strength that this expedition will demand is a testament not only to Burgess’ strength of mind but strength of body. The Straits of Florida are 93 miles wide at its most narrow point and 6,000 feet deep. “I think the one thing I am most nervous about is the currents/eddies that we will encounter that could possibly be going against my direction. I have plans to deal with the heat and not sleeping for 24 hours, but there really is no fighting with momma ocean,” she says. Despite the inherent perils of a journey of this nature, Burgess says that the connection to nature that she will undoubtedly experience is the silver lining. “I am very excited about being out there in all the elements and just really feeling present. I love sunrises and sunsets, so I can’t wait to see those. And although paddling in the dark gets me a bit jittery, we are planning on crossing with the full moon, so I am excited to follow its glow on the water,” Burgess shares. But above all, Burgess is most excited about pushing her body to its absolute limit to achieve something never before done by any other woman. To get involved and learn more about the crossing visit her website or donate via her Gofundme campaign. You can also email her directly about sponshorship packages at [email protected].